An anti-apartheid campaigner who's the new head of Greenpeace says he will use his activism know-how to spur governments into reversing climate change, stressing that unless dramatic steps are taken, "all the world is going to sink." An anti-apartheid campaigner who became the new head of the environmental group Greenpeace on Monday said he will use his activism know-how to spur governments into reversing climate change, stressing that unless dramatic steps are taken, "all the world is going to sink." 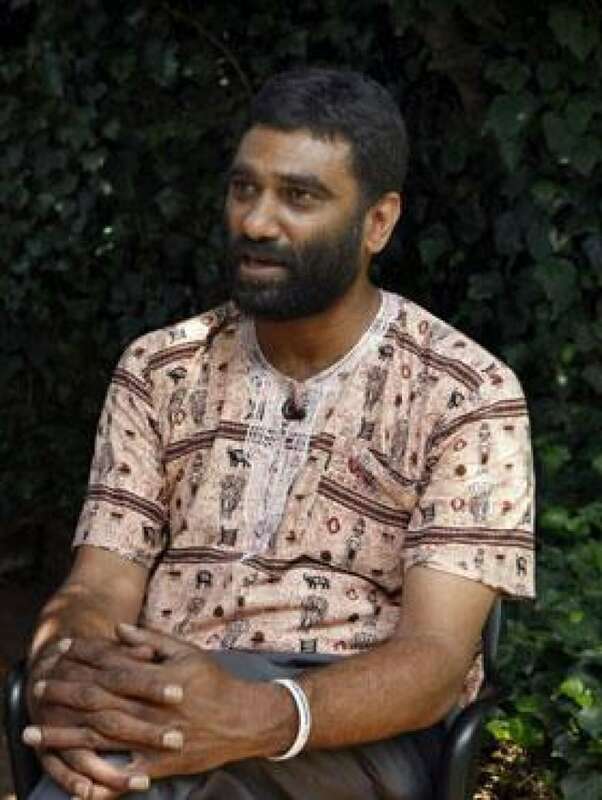 Kumi Naidoo is the first African to head Greenpeace, said Gerd Leipold, his predecessor. In an exclusive interview before he took the helm of the global organization, Naidoo said Greenpeace is committed to dialogue but knows when to deploy headline-grabbing protesters. The activist recently went on a hunger strike to press for solutions to Zimbabwe's political and economic crises and said he learned during the struggle against apartheid the importance of being "strong in our voice and our actions." Leipold, a German who once headed Greenpeace's nuclear disarmament campaign, said Naidoo's appointment is a watershed for the organization, which was founded in the 1970s in Vancouver by Americans and Canadians campaigning against U.S. nuclear tests. Naidoo is the first executive director to come from outside the organization, Leipold said. After battling apartheid as a teen, the South African led global campaigns to end poverty and protect human rights. Naidoo said pursuing commitments to address climate change fits his resumé. Naidoo, 44, has fought for the rights of women and children, among the most vulnerable when droughts bring hunger or floods disrupt livelihoods. He has pushed to strengthen international co-operation and ensure the concerns of poor countries are heard when rich ones plan the future. Greenpeace will be there when negotiators sit down next month in Copenhagen to try to draft an agreement to cut the greenhouse gas emissions causing global warming. "We either get it right and all of humanity comes out on the other side with a new world," Naidoo said in the interview last week, "or we get it wrong and all the world is going to sink." But world leaders said Sunday it is unrealistic to expect an international, legally binding agreement to emerge from Copenhagen. Instead, the goal is a political framework, with a fully binding legal agreement left to a second meeting next year in Mexico City. "Anything short of a binding treaty in Copenhagen must be read as a failure of leadership on the part of the political class," Naidoo told a news conference on Monday. "We can't change the science. The science is clear. We have to change the politics. If we can't change the politics, then we have to put our energies into changing the politicians." Poor countries, particularly in Africa, are expected to be the hardest hit by climate change, though they have contributed little to the pollution that created the phenomenon. Naidoo is among those who argue that industrialized nations that got rich off dirty technology not only need to change but to pay to help developing nations cope with climate change and get access to clean energy. Naidoo took part in countrywide student protests against apartheid as a 15-year-old, and by 16 had been kicked out of school. He completed his high school studies at home, earned a law degree in South Africa and received a doctorate in political sociology as a Rhodes scholar from the University of Oxford, Greenpeace said. Following Nelson Mandela's release in 1990 after 27 years in prison, Naidoo returned from Britain to work for the African National Congress and other anti-apartheid groups. He helped found the Global Call to Action Against Poverty and has led the Global Campaign for Climate Action, which brings together environmental, aid and human rights groups, unions, scientists and others and has organized mass demonstrations around climate negotiations. Naidoo said Greenpeace is committed to dialogue but knows when to stir people into action. "Governments, sadly, are unlikely to change as fast we need them to unless they are pushed," he said.